The Temple Mount is now on the right, and the ruins you saw in the previous photo are on the other side of the wall that extends leftward from the Temple Mount. And beyond that … modern-day Jerusalem. The grey dome on the Temple Mount is the Muslim Mosque that now dominates the ancient Jewish holy area. The Jews cannot rebuild their temple today because the Mount belongs to the Muslims. 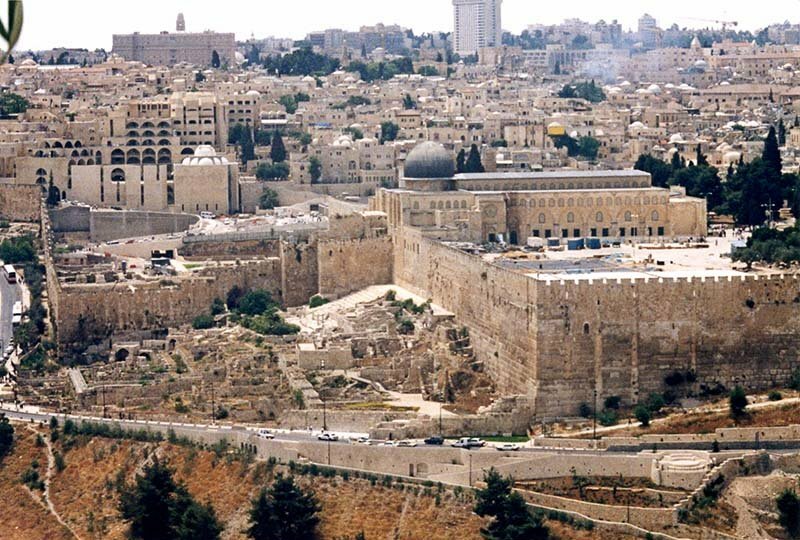 Below is a panoramic view showing the same corner of Old Jerusalem.